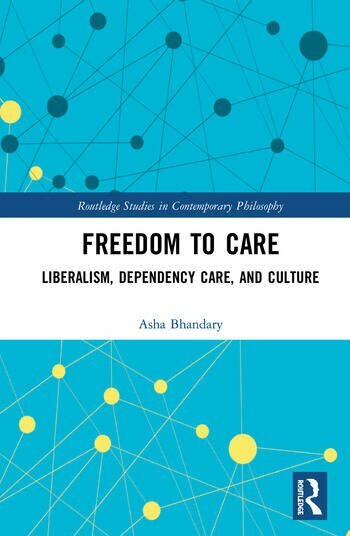 This book presents a systematic account of dependency care in a liberal theory of justice. Despite the fact that receiving dependency care is necessary for human survival, the practices with which we meet society’s care needs are seldom recognized for their functional role. Instead, norms about gender and race obscure and shape expectations about whose needs for care are legitimate as well as about whose caregiving labor more advantaged members of society will receive. These opaque arrangements must be made visible if we are to remedy the skewed intuitions and judgements about care. Freedom to Care develops a modified form of social contract theory with which to evaluate society’s caregiving arrangements. Building on work by feminist liberals and care ethicists, it reframes debates about care to move beyond gender with an inequality-tracking framework that can be employed in any culture. Because care provision has been enmeshed in the subordination of women and people of color, eliminating the invisibility of these forms of labor yields a critical liberal theory of justice with feminist and anti-racist aims. 9. Men in Patriarchal Societies, or "I Care About Justice, but Who Will Bring Me Tea?" Asha Bhandary is Associate Professor of Philosophy at the University of Iowa, USA. Her research is primarily in feminist ethics and liberal political philosophy. She is the co-editor of Caring for Liberalism: Dependency and Liberal Political Theory (Routledge, forthcoming). Her published articles have appeared in Hypatia, The Journal of Political Philosophy, Social Theory and Practice, The Journal of Philosophical Research, and Feminist Philosophy Quarterly.